A laser rangefinder can increase your golf game. They can help you plan every shot, allowing you to get closer to the pin. You can determine how far you need to hit the ball for perfect positioning. If you’ve dreamed of lower golf scores, a laser rangefinder will help you out. The Callaway Micro Prism Laser Rangefinder can help you lower your score, and give you an idea of how to play a course perfectly. It is legal on golf courses, which is great. No matter if you want to work on your shot, or get more information about a golf course, this will help you. The laser rangefinder is compact enough for you to keep it in your pocket. It’s lightweight enough that you won’t notice it in your pocket. It does come with a soft case you can keep the device in when you’re not using it. It’s ideal for when you’re out and about to take your swing. You can consider the rangefinder, So estimate the distance, and swing away. It’s ideal for any golfer on any course. You won’t have too many bad lies with this rangefinder. The rangefinder uses laser and prism technology to give you the most information you need for every shot. Its integrative design makes it ideal for anyone looking to hit the perfect shot. No matter what course you’re playing on, or what traps lie ahead, you can hit every shot perfectly. 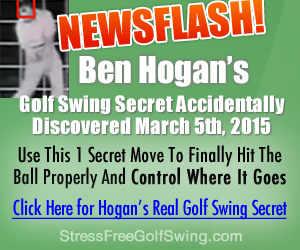 It’s ideal for those wanting to get better at golf, and you can tell the difference. Even if you play on a course regularly, you’ll benefit from having the rangefinder on you. If you want to increase your accuracy, this Callaway Micro Prism Laser Rangefinder will help you out. It is accurate up to +/-1 yard. The laser and prism range up to 300 yards, making it perfect for nearly every shot. You can see where you want to play the ball and avoid any difficult shots. It’s the best way to ensure you don’t put yourself into a difficult position you can’t get out of. You’ll be amazed with the accuracy of the rangefinder. All the information is brought up on the LCD screen, allowing you to see the information clearly. It is displayed on the back of the unit, allowing you to track different distances at once. You can estimate from one point to another, allowing you to place each shot in the perfect place. Your bad lies will be a thing of the past when you know how far each shot needs to be. The power pack has three Callaway Chrome Soft golf balls, a divot repair tool, and an extra battery. You’ll be fully prepared when you hit the course. The extra balls are a blessing that you may not need when you’re lining up all your shots. If you forget anything in your bag, the extra tools allow you to complete a game without buying anything at the clubhouse. You’ll love having everything at your disposal. A: The battery should last a long time. It can last at least a season or two, depending on how much you use it. Q:What is the magnification of the rangefinder? ​A: It doesn’t really use magnification system. The prism mode is set to 300 yards, while the laser range has a range of around 250 yards. It can easily track anything in the path of the rangefinder. Q:How do you charge the batteries? A: The lithium batteries don’t need to be charged. You pop in new ones when the old ones are dead. This rangefinder is an excellent product for any golfer wanting to lower their golf score. The two modes allow you to see everything in your path to the pin. You won’t have to zoom in. You can point the rangefinder in any direction, and it will readout where everything is. It’s the best way to avoid any traps or hazards when you have this rangefinder helping you out.